Facebook owned Whatsapp comes with the Group Invite Feature, That users will need to take permission before adding you to a Whatsapp Group. 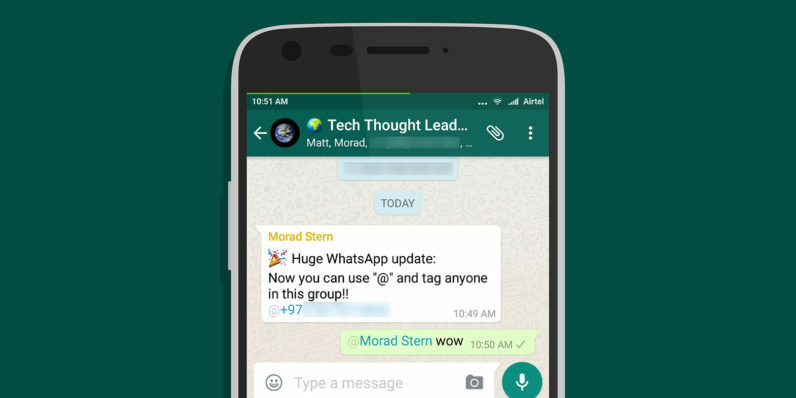 When Whatsapp Group come in, You may be part of several WhatsApp group which posts regular Media, Message and more. To avoid this, Whatsapp is bringing the Group Invite Feature to the platform through which, other users will need to take your permission before adding you. The new feature available in the setting menu, Users will need to move to account option and then Privacy, then move to Groups. There, you can be able to add me groups which comes with three option – Everyone, My Contact and Nobody. This is similar tot he users see int he other options as well, like Last Seem profile photo about, status etc. If users choose My contact then a request will be send to them when someone attempts to add then t a group. If User selects My contact and the person adding that user is part of their contact list, they will be added without any request similar to the previous one. Users will see two option after invited – accept or Decline , the invitation will expire after 72 hours and users will not get two invitation from the same groups at one time. Whatsapp Group invitation will be expire in 72 hours.